Joff Brown and Simon Clay have joined forces to create Whitecap, a company aimed at delivering comprehensive management and brokerage services to private and sponsored campaigns, performance yachts and the super yacht industry. 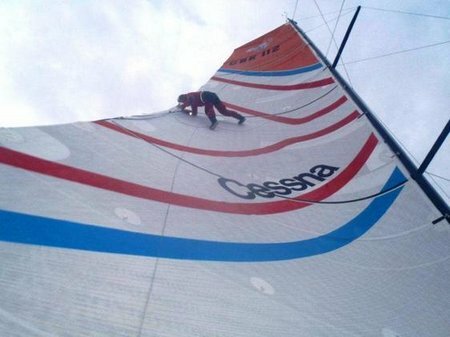 Whitecap operates from offices in Hamble, Monaco and Genoa and already has a number of high profile IMOCA/Open 60’s on its books, including the competitive IMOCA 60s ‘AVIVA’ and ‘Artemis’ as well as the Tripp 92 ‘Shaman’. Since the second day of racing in Leg 1 of the double-handed, Class40 Global Ocean Race (GOR), third place has been held by the New Zealand-Spanish team of Conrad Colman and Hugo Ramon with their Akilaria RC2 Class40, Cessna Citation. Since the two leading boats in the GOR fleet crossed the Leg 1 finish line in Cape Town on Friday, Colman and Ramon have held pole position in the main pack of four Class40s, but after 35 days of racing, the two former Mini 6.50 sailors dropped from third to fourth place at 09:00 GMT on Monday morning, handing the lead to Marco Nannini and Paul Peggs on Financial Crisis. 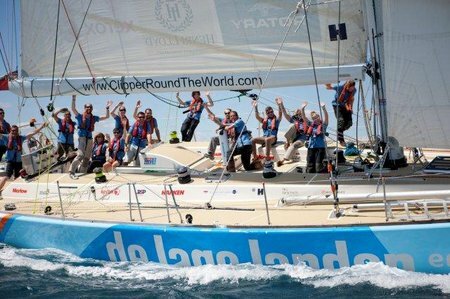 De Lage Landen have scored their best result of the Clipper 11-12 Round the World Yacht Race so far, finishing the Race 4 from Cape Town to Geraldton in second place. 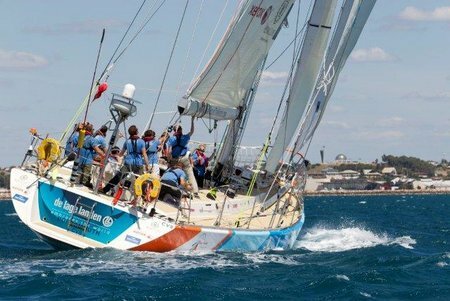 The team crossed the finish line at 1405 local time (0605 UTC) racing in under an easterly breeze towards the Geraldton shoreline at more than eleven knots. Three pictures that show the new style of lifejacket. 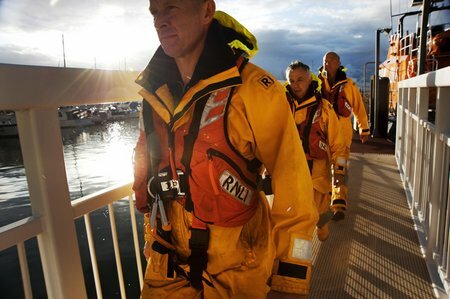 Two are of those that will be provided for the volunteer crews of the all-weather lifeboats, while the third photograph is of the design to be used by the crews of the RNLI’s inshore lifeboats. 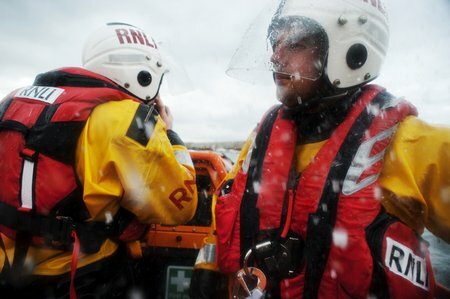 Please credit RNLI/Nigel Millard. Volunteers at the 35 RNLI lifeboat stations in the south west* are supporting a campaign to raise the £220,000 needed to buy them all new lifejackets. Many will be using the charity’s annual SOS day on 27 January 2012 to collect the funds needed. 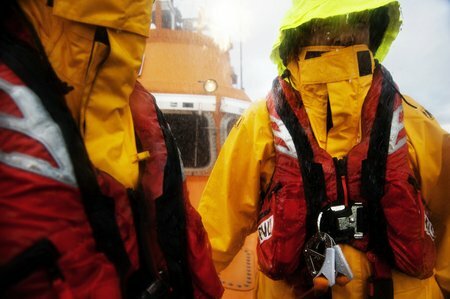 The two brand new types of lifejacket were designed through joint collaboration between the RNLI and the manufacturer to meet the charity’s current search and rescue requirements. 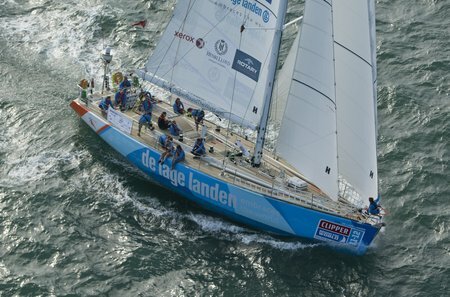 Today saw De Lage Landen secure their second podium position of the Clipper 11-12 Round the World Yacht Race, as the sprint for third place continues with New York, Visit Finland and Geraldton Western Australia all vying for the blue pennant. 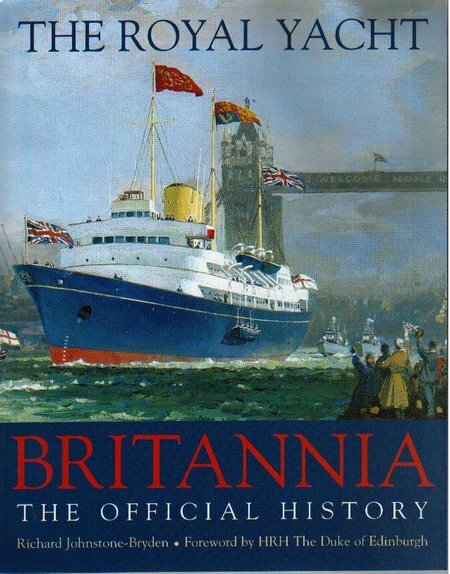 Rule Britannia – A New National Flagship? In the approach to the Diamond Jubilee next year, another crop of well-meaning groups and individuals are coming out with proposals for a new Royal Yacht. There was a brisk wind blowing on Sunday morning. This attracted many to the popular kite surfing beach at Uphill on the south side of Weston Bay. 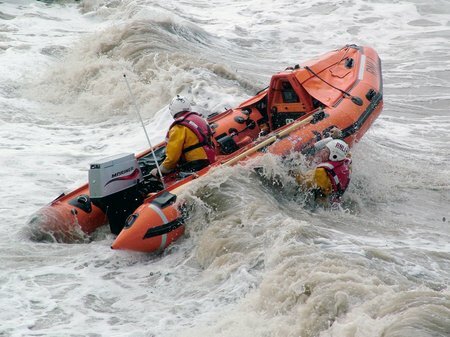 When one of these surfers got into trouble it was the RNLI which came to the rescue. 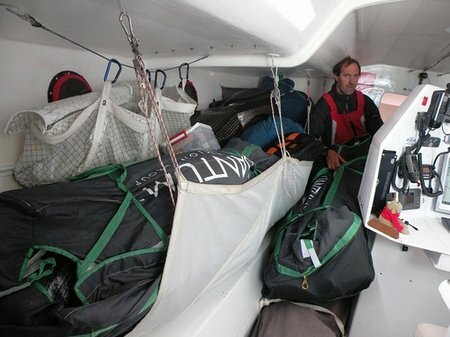 As the winners of the double-handed, Class40 Global Ocean Race (GOR) Leg 1, BSL and second place Campagne de France, recovered in Cape Town from 7,000 miles of racing and adapt to life on land after 32 days at sea, the four boats in the fleet’s main pack were working round a high-pressure system centred 1,300 miles west of the finish line. In light airs of around six knots under a waxing crescent moon with floodlit Table Mountain as a backdrop, Halvard Mabire and Miranda Merron with their Pogo 40S², Campagne deFrance, crossed the Cape Town finish line completing Leg 1 of the double-handed, Class40 Global Ocean Race (GOR) at 19:43:40 GMT (21:43 local) on Friday evening. 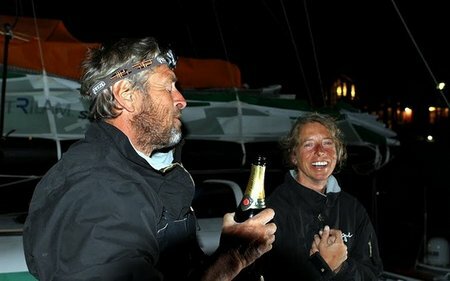 The Franco-British duo took 33 days 07 hours 43 minutes and 40 seconds, securing second place in the GOR’s fleet of six Class40s, arriving in South Africa just over 14 hours behind the Leg 1 winners, Ross and Campbell Field with Class40 BSL. Competitors in the 2011 Rolex Middle Sea Race gathered in the Malta’s capital city of Valletta at midday today (Saturday) for the official prize giving. 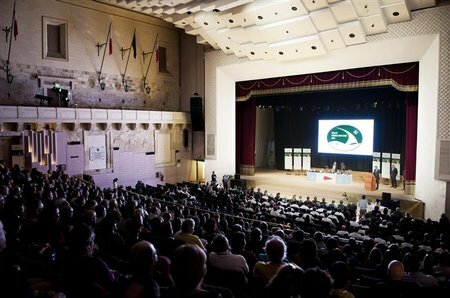 In keeping with this island’s rich and fascinating history, the prize giving was held in the Mediterranean Conference Centre, located in the “Sacra Infermeria”, a former hospital dating from late 1500s.